I headed to the Toronto Beer Festival with my friends this weekend. We had a great time trying several different beers, enjoying the weather and of course chowing down on some amazing food. 🙂 The entrance fee was quite expensive which includes one of the mugs below plus 5 sample tokens although if you wanted to buy more tokens they were $1 each. 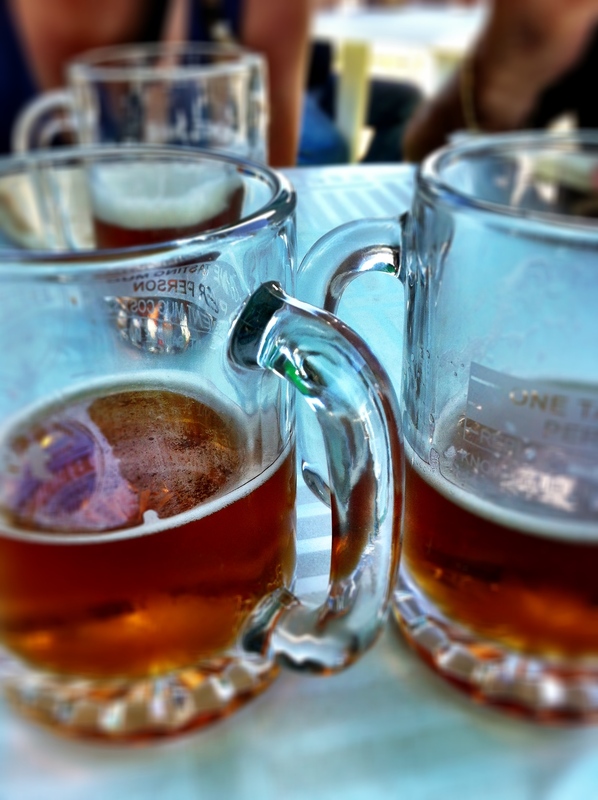 Most beer vendors charged 1 token for half a mug which was fair. Although I loved trying a few different beers I was even more excited to visit some of the food trucks/vendors that I have heard so much about. We first hit up Fidel Gastro’s and I decided to have their root beer short rib with kimchi sandwich only because it sounded like the most exotic item on their menu as I wanted to try something a little different, plus I have never had kimchi before so this was a treat. Kimchi is a traditional fermented Korean dish made of vegetables with a variety of seasonings. 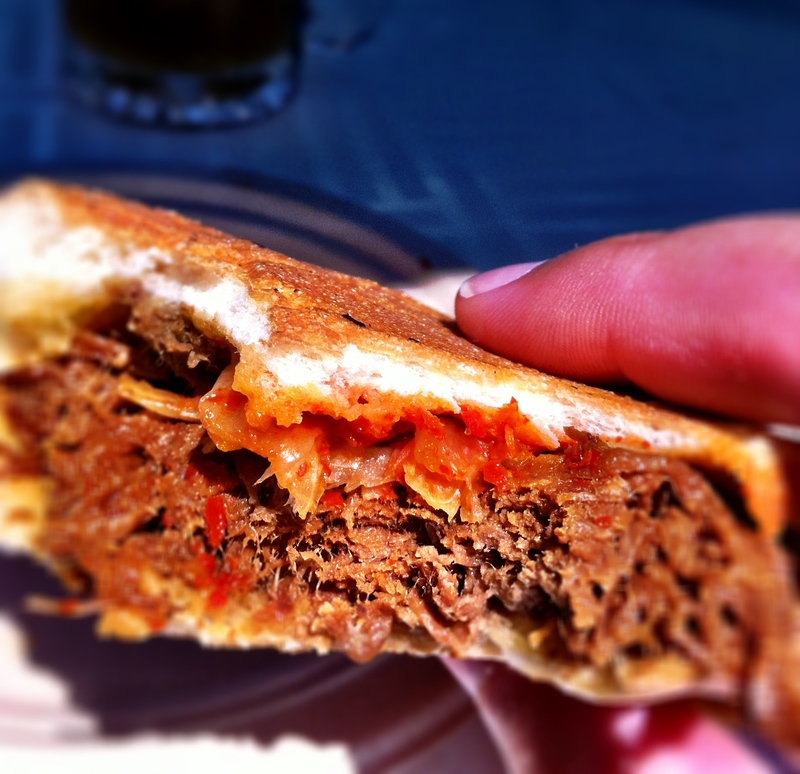 The sandwich was really tasty but I think I would have preferred it without the kimchi, no need for those veggies to get in the way of the yummy pulled short ribs. I really enjoyed it and wanted to have more but knew there were a few other spots I wanted to visit so I restrained myself. Next time I am going to try a few more of these sandwiches. One of my friends got the pork belly sandwich and another got the sliders, thumbs up were given by all. 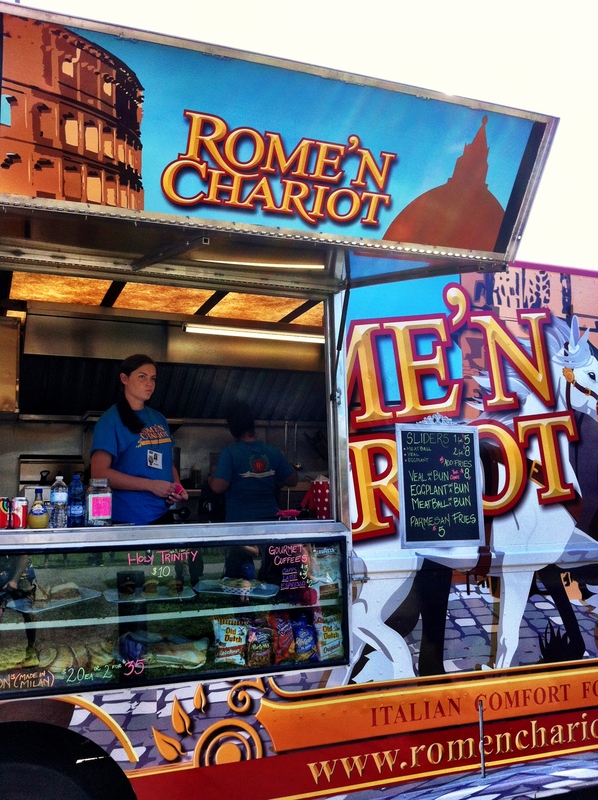 My next stop was at the Rome’n Chariot food truck. I must say their truck looks spectacular and the food was just like home. I ordered their Meatball Slider because as their slogan says “Italian Comfort Food” I had to go with what would make me feel like I was in my momma’s kitchen and this delicious little ball had me there on my first bite. I’m sure I could down at least 5 of these bundles of home comfort. 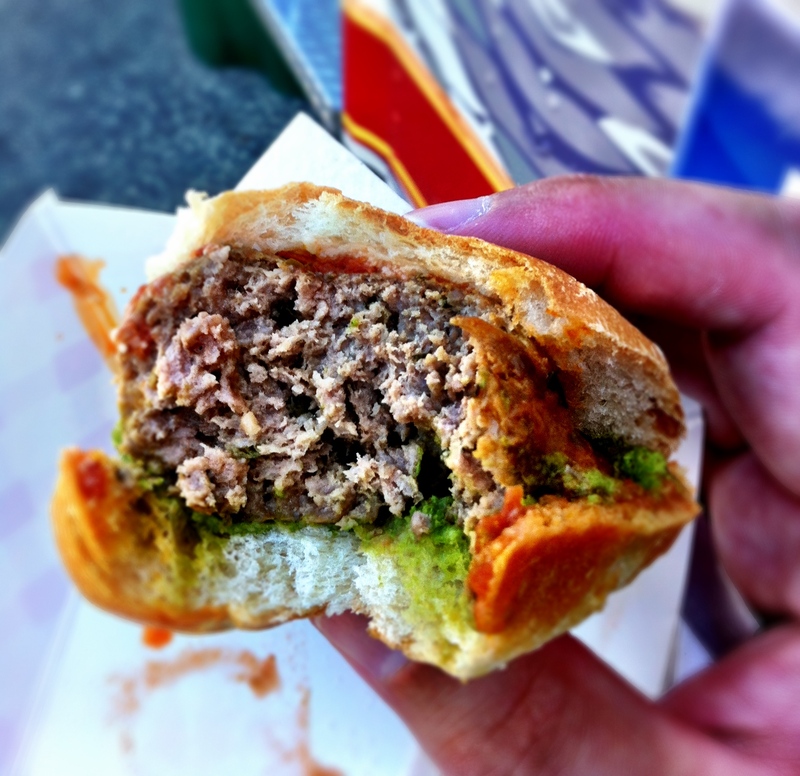 Next time they told me to try La Bella Porchetta which makes my mouth water just hearing those words…. definitely on my list and will be seeking it out very soon. 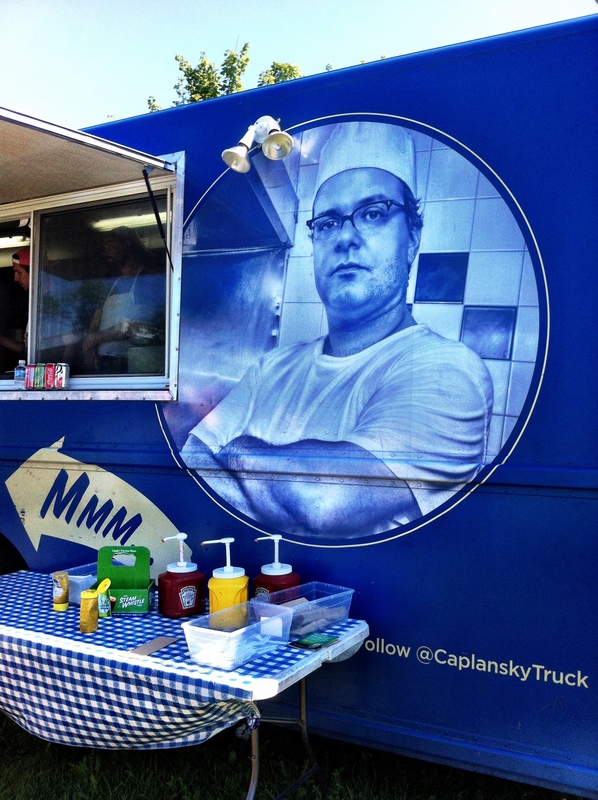 After downing the slider and a few more beers of course 🙂 I had to try one more truck and decided to try the Caplansky Food truck as I have heard so much about them. At this point I was tired of eating sandwiches so I chose to go with their smoked meat poutine and was so glad I did. 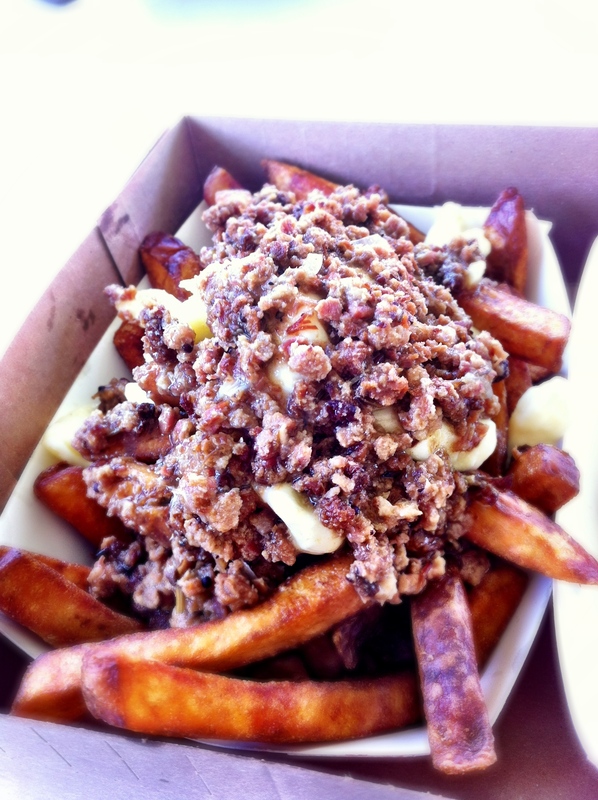 I have tried a lot of poutine in the past and this was by far the best poutine I ever had. The fries were nicely golden brown and crispy while the smoked meat gravy was so dreamy, I actually did go to bed with this poutine on my mind. The cheese curds were nicely melted while the fries maintained their crispy goodness. Beerfest was a great time and the crowd seemed to be fairly behaved despite the flowing libations. Best part of the event was definitely the food tasting. Looking forward to trying out more of these food trucks soon.